This entry was posted on September 14, 2017 by MAV Europe. For many people, the portion of Pitta dosha increases in the summer. Especially in the late summer and early autumn, this Pitta imbalance or Pitta dominance can become clearly noticeable and stressful for those who already have a high portion of Pitta. Sometimes they complain about dry, irritated skin, or have a quicker temper – just to name a few symptoms. At the latest, then is the time to reduce excess Pitta. We will show you what measures you can take to balance your Pitta. Many of the recommendations come from Vaidya Prathmesh Vyas, an ayurvedic expert who studied at Ayurveda universities in Nagpur and Rajasthan and is known as an ayurvedic pulse diagnosis specialist. "Pitta stands for the fire in our physiology. Pitta types have a sharp understanding and are daring and adventurous,” says Vaidya Prathmesh Vyas. By nature, those dominated by Pitta are sensitive to spicy meals, hot drinks and high temperatures. Their body temperature tends to be high and they sweat easily, tend to have irritated skin and often have thin, fine hair. They also have a good appetite and digestion. They react more hotly when irritated and easily become angry, but they also tend to calm down quickly. We are especially prone to Pitta troubles during typical Pitta times. Pitta times of the day are especially from 10 a.m. to 2 p.m. and from 10 p.m. to 2 a.m. Those who already suffer from Pitta troubles often feel especially unwell during these times. With regards to this, Vaidya Prathmesh Vyas says that “even if you are usually supposed to avoid sleeping during the day, I would suggest resting for one to two hours to calm your Pitta.” During the course of the year, a lot of Pitta accumulates especially during late summer which can lead to problems in autumn. Pitta calms down again in the winter. In our lives, too, there is a long phase of Pitta dominance, from age 18 to 50. Specifically among those with a Pitta dominance, the Pitta dosha can easily become unbalanced during the above-mentioned times and lead to Pitta troubles. Pitta is responsible for our digestion and metabolism. Correspondingly, it is closely related to nutrition. In Ayurveda, we know a wealth of foods that can be used to harmonise the Pitta dosha. Pitta characteristics are sour, hot and a bit oily. Therefore, very sour, hot, salty and oily dishes and drinks should be avoided in the event of an excess of Pitta. 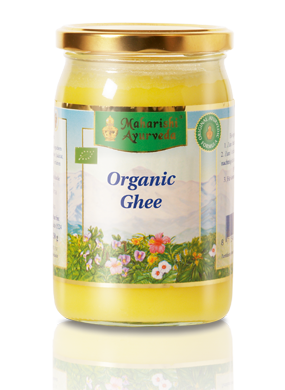 Classic Ayurveda texts describe Ghee as the food that is best for reducing Pitta. Ghee, a.k.a. pure butter fat, is sweet, cool and soft – and thus has exactly the opposite characteristics of Pitta. Depending on tolerance and the extent of the Pitta imbalance, mix one or two teaspoons of ghee in milk every day or prepare your food with ghee. We also suggest sweet, astringent (contracting), bitter and cool dishes and herbs. The mildly exotic flavour of Pitta Churna is especially suitable for the beginning of autumn. Containing coriander, fennel, cumin, cardamom, ginger and turmeric, it really enriches your ayurvedic cuisine. Pitta Tea is ideal for stressful days and harmoniously finishing off the day. Two cups a day at room temperature should calm Pitta and a fiery temper. If you like change, you can occasionally treat yourself to some peppermint, chamomile or fennel tea. You can also try our ayurvedic “iced” tea. 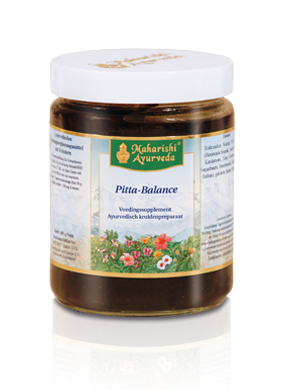 As an addition to your Pitta calming diet, we suggest using Pitta Balance as a “fire brigade” for Pitta dosha. This food supplement, available as tablets or paste, balances the doshas when Pitta gains the upper hand. After your body has taken in plenty of warmth in the summer, you should now avoid long, intensive heat influences. This means have a warm rather than a hot shower, don’t take baths that are too hot and wait until the winter before going to the sauna. Your skin will thank you too! Try these products and discover your favourite Pitta products. Aromas, too, can calm Pitta. 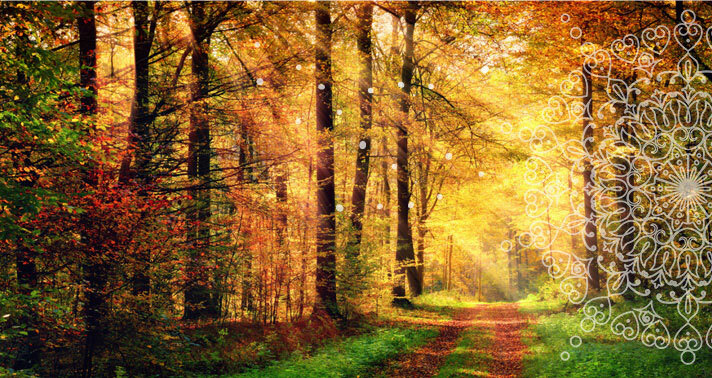 With its essential oils of sandalwood and ylang ylang, Pitta aroma oil is the ideal choice for moments in early autumn. 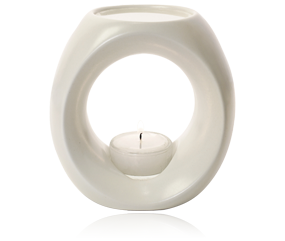 Pitta-moderating fragrances can also be diffused in the bedroom with a diffuser or a fragrance lamp. Enjoy the calming and relaxing effect of this gentle combination. Not only the heat and hot meals but also stress can increase Pitta. Regular periods of relaxation, e.g. comfortably drinking a cup of Pitta tea, will balance your Pitta dosha and give you inner peace. Build small regeneration phases into your daily routine. For example, after eating your lunch, just remain seated for a moment and consciously enjoy your personal rest period. Take a walk every day, if possible. It is best if you do so in nature, for example in a forest or along water. Let the fresh breeze blow on your face in the mountains or near a large lake. A short evening walk in your daily routine will help you relax. It will tune you into the night phase of rest and regeneration. We wish you a nice autumn. Stay healthy!